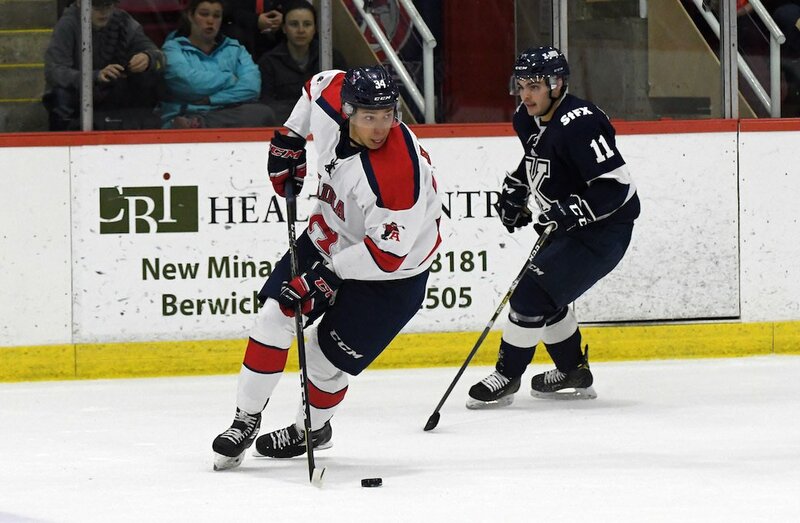 Stephen Harper—the 22-year-old Acadia Axemen hockey player, not the former Prime Minister—is leaving Nova Scotia and going back home. This week, he’ll find himself back at the Meridian Centre in St. Catharines, Ont., – the same rink he capped off his junior career – to represent U SPORTS in the annual two-game series against Canada’s National Junior Team hopefuls. I was lucky enough to be named. It’s always special to go back to your junior place where you had so much success. It’s going to be a fun time. While Harper is excited to play in front of family and old friends, he knows that the Dec. 13 and 14 contests will be more than just a couple of friendly contests. For the third straight year, U SPORTS will be represented by a national all-star team and the squad has significant experience outside of university hockey, as all but one player has CHL major junior experience. For the first time ever, the coaching staff also had no conference quota to adhere to when selecting the roster, meaning they could pick the best players from across the country without worrying about meeting geographic requirements. Head coach Brad Peddle, who also serves as the bench boss at St. Francis Xavier University, says the flexibility in picking this year’s roster was certainly beneficial. While reflecting on what else will allow his team to succeed, he emphasizes the fact that nearly a third of the team are returning players, whom he says will “absolutely” help to potentially secure two wins. The players that were there last year saw the level and experienced the pace of how the game was played. We can rely on those guys to certainly bring some experience to this year’s group. Spencer Abraham, a law student from Queen’s University, is one of the six veterans whom Coach Peddle is referring to. As one of only two men who will have played on all three of the U SPORTS All-Star teams since 2015 against the Canadian World Junior prospects, he arguably has the biggest chip on his shoulder heading into the upcoming games. 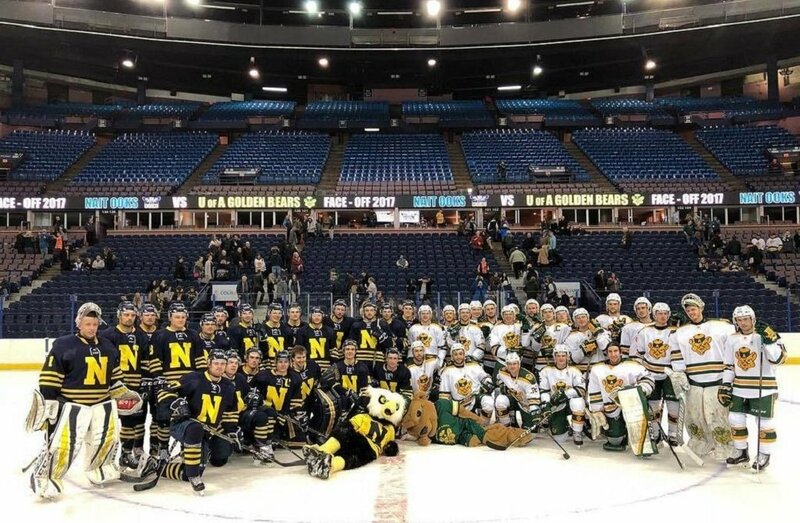 I kind of take a lot of pride in (U SPORTS) hockey. A lot of people don’t really understand how good it is. (This series) is an opportunity to showcase what the league is all about. 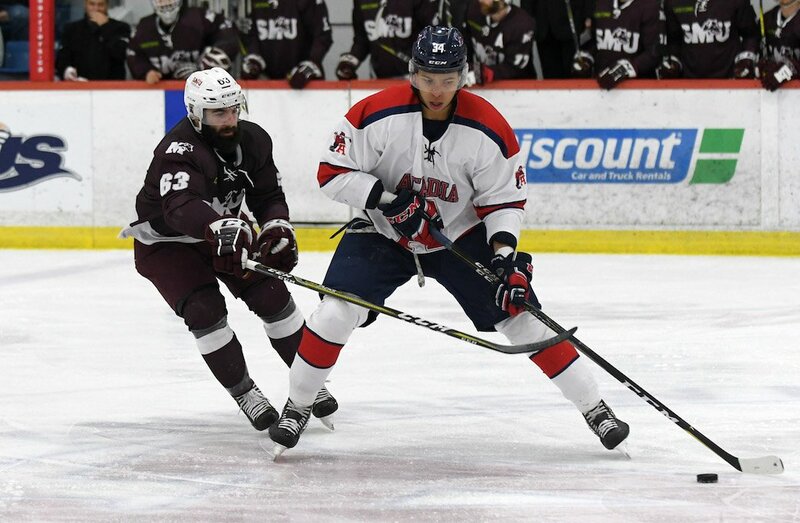 Discussing his future and the future of his teammates, the defenceman says that being a part of U SPORTS means being able to simultaneously pursue academic and athletic careers. While working toward both can certainly be stressful—Abraham and Harper express their concerns over the games falling in the middle of exam season—Abraham says it’s a worthwhile undertaking. 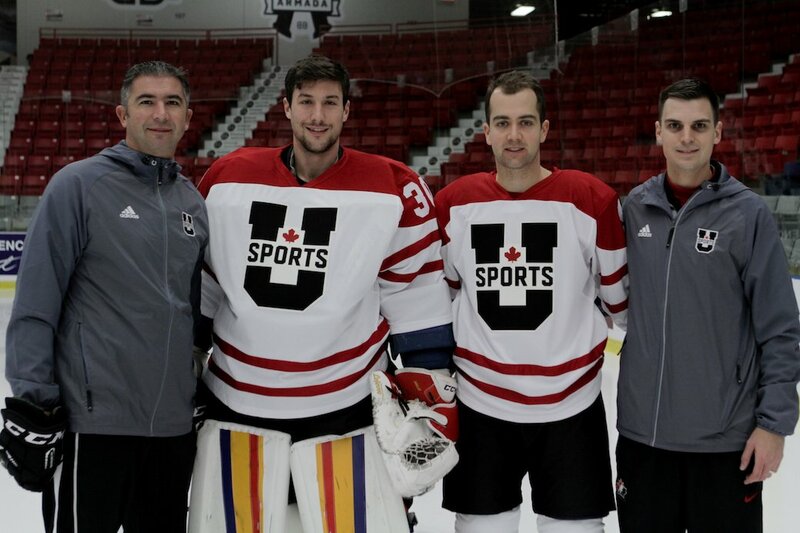 Spencer Abraham (second from right) with fellow Queen’s Gaels Brett Gibson (head coach), Kevin Bailie and James Sawchuk (trainer) in last year’s All-Star Series. It’s a great opportunity for them, not just to represent U SPORTS and to represent their institutions, but to represent themselves. The games will take place on Wednesday, Dec. 13 at 7 p.m. ET / 4 p.m. PT and Thursday, Dec. 14 at 4 p.m. ET / 1 p.m. PT at the Meridian Centre in St. Catharines, Ont. We're 2️⃣ days away from the first exhibition game between the U SPORTS Men's Hockey All-Star Team and the @HC_WJC Prospects in St. Catharines! Kaitlin is a recent graduate of Western University’s Master of Media in Journalism and Communication program. 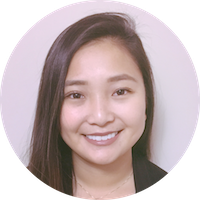 She now works as the communications manager for her local MPP, and keeps in touch with her love for sports and journalism as a U SPORTS Contributor.